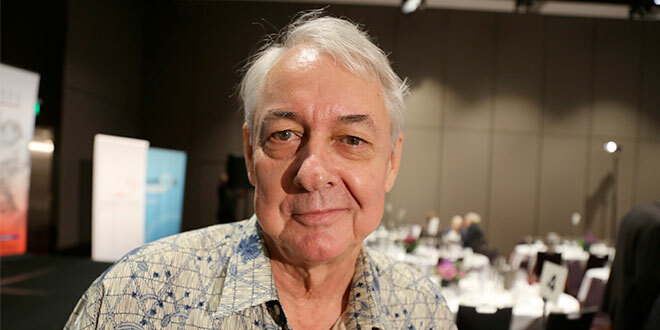 A PROMINENT Australian barrister has vowed to renew a fight to free Brisbane Catholic Scott Rush and the remaining members of the Bali Nine in jail in Indonesia. Scott Rush’s lawyer, Colin McDonald QC, has pinpointed a new legal avenue to fight for the Bali Nine, who are serving life sentences for their part in smuggling more than eight kilograms of heroin from Bali to Australia in 2005. Mr McDonald is also exploring a political and diplomatic possibility for the convicted drug traffickers to be returned to Australia. “I really want to see how we can get Scott, Michael Czugai – his old classmate – and all the remaining members of the Bali Nine back to Australia,” he said. 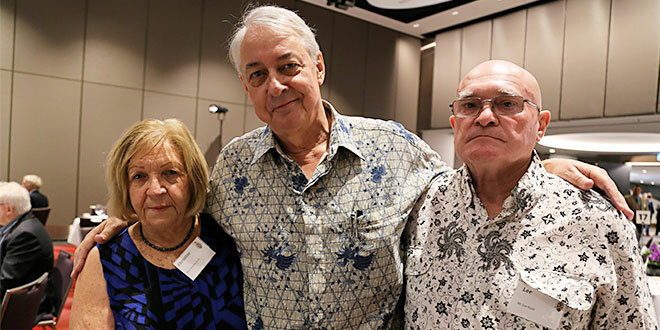 Speaking at an Assembly of Catholic Professionals luncheon in Brisbane last week, Mr McDonald, who lives in Bali and still visits Scott Rush “quietly, on a weekly basis”, said he was motivated by his plight of Rush, who was 19 when he was caught, and his parents, Lee and Christine. “Prison is a lonely place,” Mr McDonald said, describing Indonesian prison conditions as “fourth world”. “Twelve and a half years I have seen him very regularly and he is up and down because of awful prisons conditions… it’s seven in a cell… no bed, no mattress, sleeping on the floor, basic meals. “Scott’s a remarkable person. He has faith and faith is one of the things keeping him strong. Rush, now 31, and the others – Martin Stephens, Tan Duc Thanh Nguyen, Michael Czugaj, Matthew Norman, Si Yi Chen – are serving life sentences. Renae Lawrence has been the only Bali Nine member eligible to receive reductions on her 20-year jail term. Ringleaders Andrew Chan and Myuran Sukumaran were executed by firing squad on Indonesia’s Nusakambangan Island in April 2015 for their part in the 2005 smuggling plot. Mr McDonald said he sees two possibilities to press for the release of the remaining Bali Nine. Firstly, the constitutional court in Indonesia handed down a decision in September last year to say that people on death row and life sentence could make a second judicial review. “And that’s something we are going to explore,” Mr McDonald said. The second avenue is to push for a prisoner exchange program between Indonesia and Australia. “… As we negotiate this comprehensive free trade agreement, and as Indonesia emphasises trade in its foreign relations, it’s not beyond us to put up some values namely we don’t want our citizens executed… and we expect that there to be some form of clemency prisoner exchange,” Mr McDonald said. Lee and Christine Rush attended the ACP luncheon to add their voice to Mr McDonald’s new legal push. “We are very disappointed in Australian laws, Australian processes,” Mrs Rush said. “Can you imagine paying to keep your son indefinitely in another (country’s) prison? Mr McDonald has defended in 67 murder cases and led 17 death penalty cases in Thailand, Singapore and Indonesia. He has become an expert on the Indonesian legal system. In 2011, he successfully had Rush’s death sentence commuted in an appeal to the Indonesian Supreme Court. Rush had more than a kilogram of heroin strapped to his body. He was initially sentenced to life imprisonment, but that was upgraded to death when an appeal against the decision was quashed in 2006. Brought up a Catholic in rural Victoria and a student at St Patrick’s College in Ballarat, Mr McDonald said “faith has been very important” in shaping his life and values as a lawyer. “I would rather live in a generous, caring, outreaching society than one that is selfish, doesn’t have a respect for the mysterious and the other known features that lie in every one of us,” he said. Mr McDonald also warned Australia’s relations with Indonesia’s could be dramatically influenced by “a growing Islamic exceptionalism, conservatism and radicalism manifesting itself in Indonesia”. He pointed to events including the jailing of Jakarta’s Chinese Christian governor for “blasphemy” after suggesting Muslims could vote for him in an upcoming election. Mr McDonald said there were fears Indonesia could slide into becoming an Islamic theocracy. “We as a country have to prioritise Indonesia and Asia and foreign affairs and have very, very intelligent persons in our embassies engaging with Indonesia authorities to uphold… democratic principles in Indonesia. Otherwise we could have a lot of boat people – Catholics, Christians, Hindus – coming in,” he said. Defender: Colin McDonald QC. Photo: Mark Bowling.